NPR‘s Song Travels has featured its first country artist. Chris Young took a recent musical journey with entertainer Michael Feinstein. Taped last year in Los Angeles, Young explores his musical past, present and future during the one-hour program, recounting how music and the art of songwriting have shaped his journey. The program features performances of Young’s hits “You” and “Gettin’ You Home.” He also joins Feinstein for an impromptu performance of the 1960’s song “I Left My Heart In San Francisco.” A stream of the broadcast can be heard here. Past guests on the program include Bette Midler, Liza Minelli, Mark O’Connor, and David Hyde Pierce. 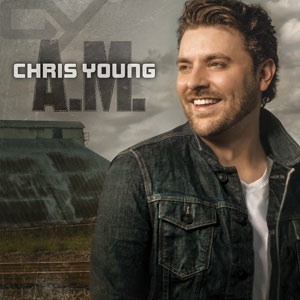 Young’s fourth album, A.M., is available for pre-order today.